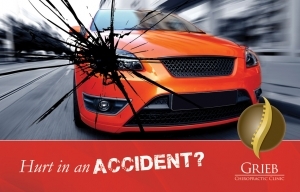 We never choose at the start of a day to be involved in a motor vehicle collision, but auto accidents occur . In the impact of a collision, regardless of the visual damage done to a vehicle, damage is caused in the soft tissue and joints of the spine and extremities. It is crucial that you rehabilitate the spine and extremities after injuries occur. 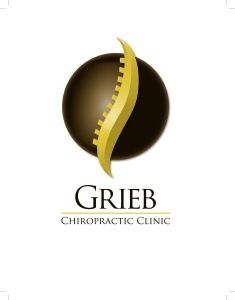 If you have been hurt in a accident, Grieb Chiropractic Clinic provides gentle techniques in the rehabilitation and pain relief after being injured in a auto accident.